Singapore is a booming business hub with its conducive environment and ambitious workforce. 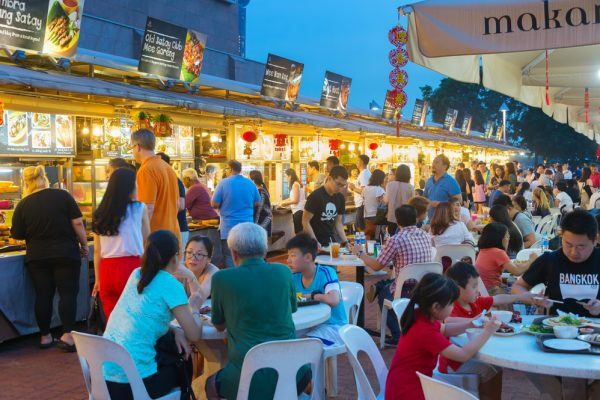 As a Singapore business-person, factors that will provide a business-friendly environment include a low-tax regime and a world renown least-corrupt State. If your small business is not thriving, don’t blame the location but your strategies. Nevertheless, building a business is never easy. There are many challenges that entrepreneurs encounter while they try to take their business off-ground. Business pressures may stem from insufficient funds, lack of experience and unresourceful staff. Mostly, the top challenge is lack of experience without which you are incapacitated business-wise. You lack knowledge of how to get funds to finance your business, don’t know the right people to work with you among other things. The good thing is that you are not the first one. Many Singapore entrepreneurs faced the same and now can provide the advice on how to get around particularly in Singapore. A business being small is not a condemnation to failure just because business giants exist. Singapore startups can bypass the usual battle route and take the competition by surprise. This article provides strategies as voiced by the most successful entrepreneurs in Singapore. Here are the secrets that will skyrocket your business. Business is about hard work. To maintain three business opportunities may sound difficult particularly when you are new in business. But, it becomes easy once you get started and keep the strategy on top of your mind. Several opportunities can win business for you. For instance, you can list down advertising. It is the essential Kickstarter of your business to grab those first clients if you don’t already have. There are also other paths you can use like holding seminars and requesting for referrals from your current customers. Any three business opportunities you utilize can help you increase your customer base every month. After developing the business opportunities to be in force at any one time, you then need to deliver consumers expectations. No product or service can matter until the customers can endorse them. It essentially means that you need to align what your product or service can offer with customers’ tastes. You may feel you have great products but don’t fall in love with them before customers do. You can’t prove your offerings matter to customers until money changes hands. Clients vote for your offerings with money, not just opinions. They will only do so if what you offer can fulfill their needs. You must know how to learn customers desires and incorporate them into product or service creation. It is a way to achieve sales. This rule means that on every day, you do two things that will pay-off in two weeks. And, two things that will yield in two months and another two that will give results in two years. It is a strategy that calls for hard work and discipline. If maintained, it sets up a defined success cycle even in unpredictable economic times. It practically means that you need so many programs; to reach out to many people to get many prospects. Out of the many plans, agendas, and schemes you plant, some may not germinate. As an entrepreneur, you need to embrace failures as learning bends. And, you can use the knowledge gathered to create more workable solutions. There undoubtedly will be those endeavors that will blossom and bring forth great results. You will find that your business is growing. Customers are definitely the backbone of your business, and without them, there is no business. Send them information that matters to them; to help in their daily encounters. Give a thank you note to them after a purchase. Ask them what they liked most about your products or services and if they need any improvements. Communication is the most reliable approach to learning new tastes or trends. It is through customers that you will learn competitors offerings. Such information will help you to stay ahead of the competition. Today’s consumer is more informed about what they want. You must know how to learn what they want to retain them. This was an insight by Alison Eyring the CEO of a growth consultancy Organisation Solutions. Today’s business is dominated by technology which is changing rapidly. You find that many stereotype ideas keep running out of date. You need to be observant to learn your cues on norms from your partners or customers. On the other hand, you need to embrace politics to get to understand the national agenda. The national agenda may be what will make or break your business. You should learn the implication to your company as it could be an asset or a liability. Politics influence significant issues like tax. Therefore, it is essential to know what is happening and see if it positively or negatively affects your business. The business landscape today is becoming dominated increasingly by technological innovations. For your business to be successful today and beyond 2019 it is essential to adopt digital innovations. They will help you achieve your objectives as well as stay ahead of the competition. The usual trend of technology is that as it brings efficiency and productivity, it also lowers production cost. Though sometimes technology is perceived as a threat or interference, the rewards are far much more. If you don’t look to remain behind, embrace technology to gain the ability to grow. The opportunity for growth by the businesses that go digital is immense. Majority of World successful entrepreneurs mostly point out technological tools as vehicles for business success. As much as Singaporeans are enthusiastic about work, you need to give them a conducive environment. If you look to raise your work productivity, consider how far you have made your employees significant. Do you pay them well? Do you show them they matter when making business decisions? When your employees are happy, life is good for everyone including customers, and that’s how you succeed in business. If you take time to think through each of the above tips, there is no doubt that you will experience growth in your small business. You may not manage to follow all of them at a go, but you should plan to adopt them as a step by step. You will start experiencing positive energy and eventually a super growth. Racheal Muriithi is (B.A) Sociology graduate at Catholic University of Eastern Africa. She is also a Certified Public Accountant (CPA-K). She has worked in various capacities before settling in freelance writing career. Her articles writing excellence has earned her a rising talent status award at Upwork. When she is not writing, she spends time at her tailoring machine or crafting graphics at her computer. She is currently working on her articles writing website which she anticipates to launch soon. You can reach her at [email protected] or skype at Raquel M.